Cities are filled with numerous – at first sight invisible – borders. Between rich and poor, between ethnic groups, between high and low, between dense and sprawl, in short between center and periphery. But who and what define these borders? Are they problematic? Do they tell underlying stories? Explore some borders of Shenzhen (Meilin and Dalang) with us and each other. Meeting point: the Laboratorium in the Shekou Glass Factory, Shenzhen. Admission free, bring your own drink/food, good shoes, good mood and public transportation card. Main language is English, but there will be people around to translate. 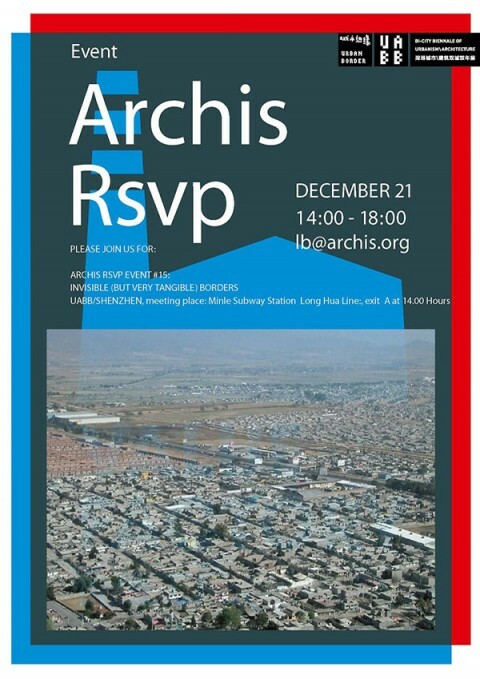 Please register at rsvp@archis.org.